So, as regular readers know Liz turned 40 a few weeks ago. She did it with her usual class and elegance and threw a wonderfully stylish do at a fab restaurant. Well, hot on her immaculate heels I turn 40 this week. Liz’s style and my own are very different. 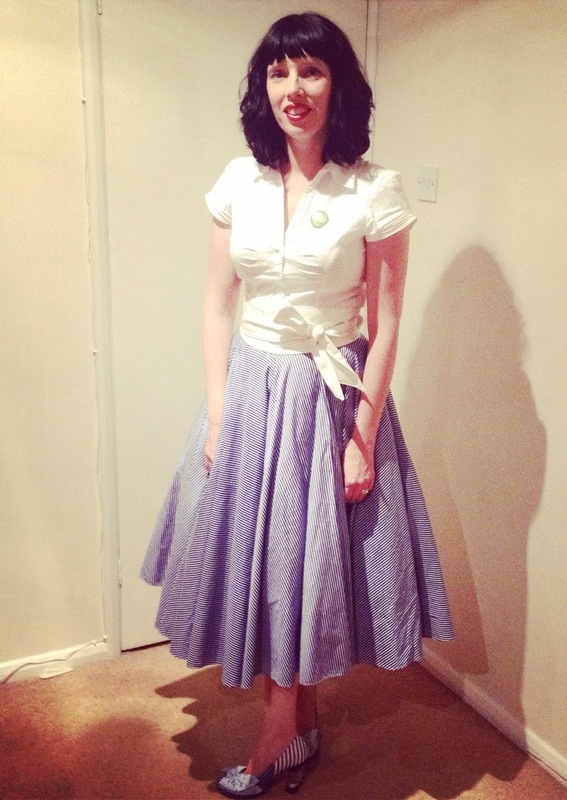 Liz does effortless, classic and elegance amazingly well. She is always beautifully turned out and her outfits always seem appropriate to the occasion. My style, of the other hand, sometimes leaves me looking like my 9 year old daughter dressed me. I struggle greatly when selecting clothes and outfits as I am often concerned as to the age appropriateness of them. Now, don’t get me wrong – I don’t parade around in panda hats and onesies or a One Direction t shirt but I do have a liking for some of the more ‘out there’ designs. I am having a birthday party to celebrate turning 40 and obviously the outfit I will wear has weighed heavy on my mind. As has been the case recently I have opted to start at the shoes and work up. 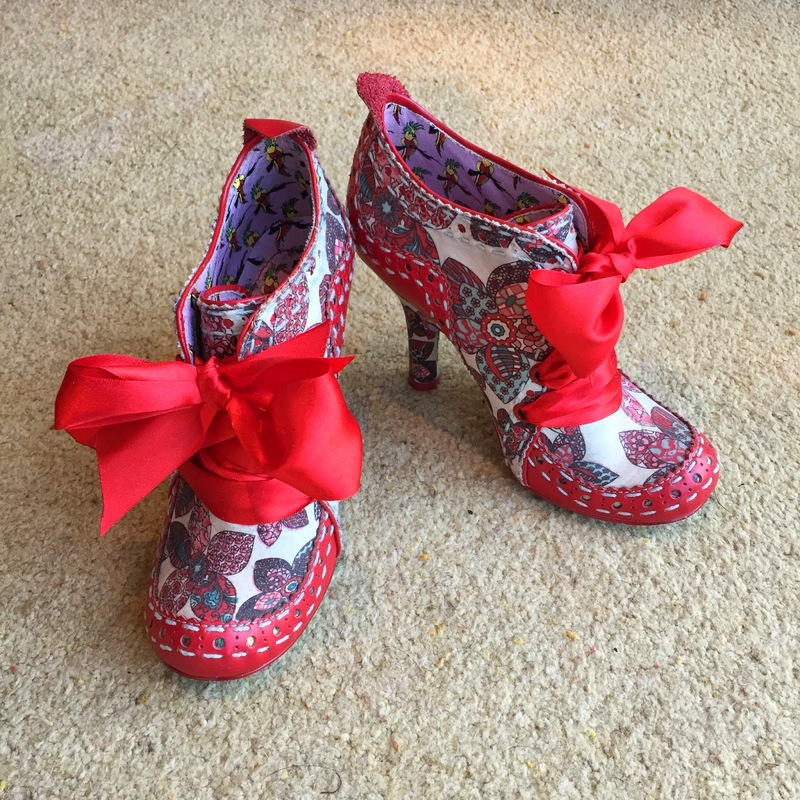 I bought myself some fabulous Irregular Choice Abigail’s Party shoes and customised them with red ribbon or laces. These are not my only pair of Irregular Choices – I also own these ones. Yes, that is a large plastic charm with a monkey, a strawberry and an ice cream on them. I think the way forward is to look at the pieces you love but are causing you concern and to think about what you will be wearing them with. 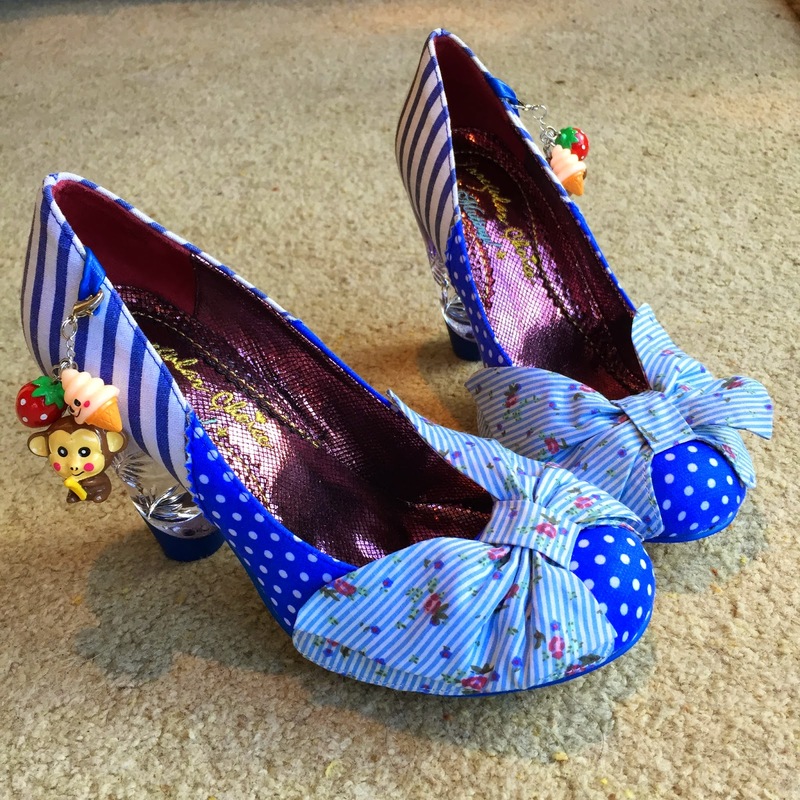 My party shoes will be worn with plain black, well cut trousers and a plain black top. 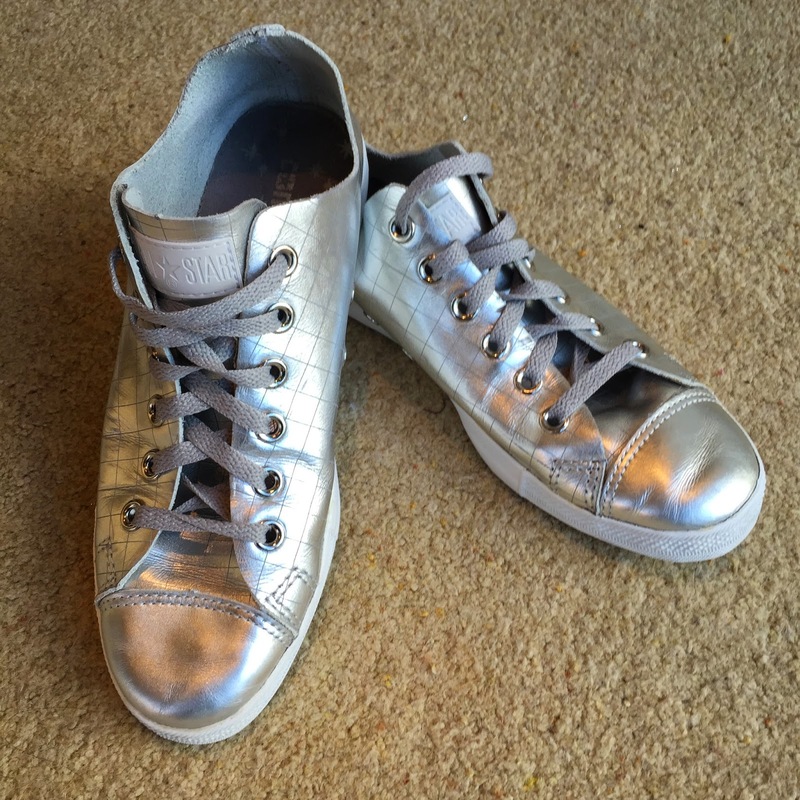 Similarly the silver Converse will be worn with simple jeans and a Breton top. Coco Chanel famously said ‘“I always take off at least one piece of jewellery before I leave the house…to ensure that I am not overdoing it.” I think the same can be said of the more ‘out there’ pieces. Just the one is probably enough. Anymore and you run the risk of looking like a toddler dressed you. 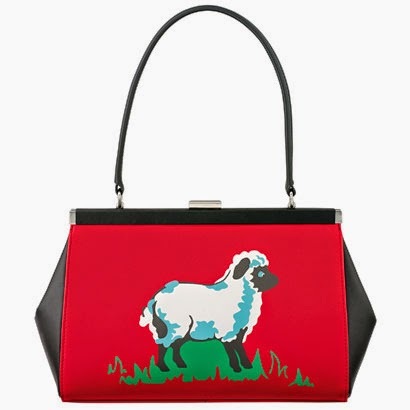 There is space for fun items at every age but I believe it is best paired carefully with more mainstream pieces. 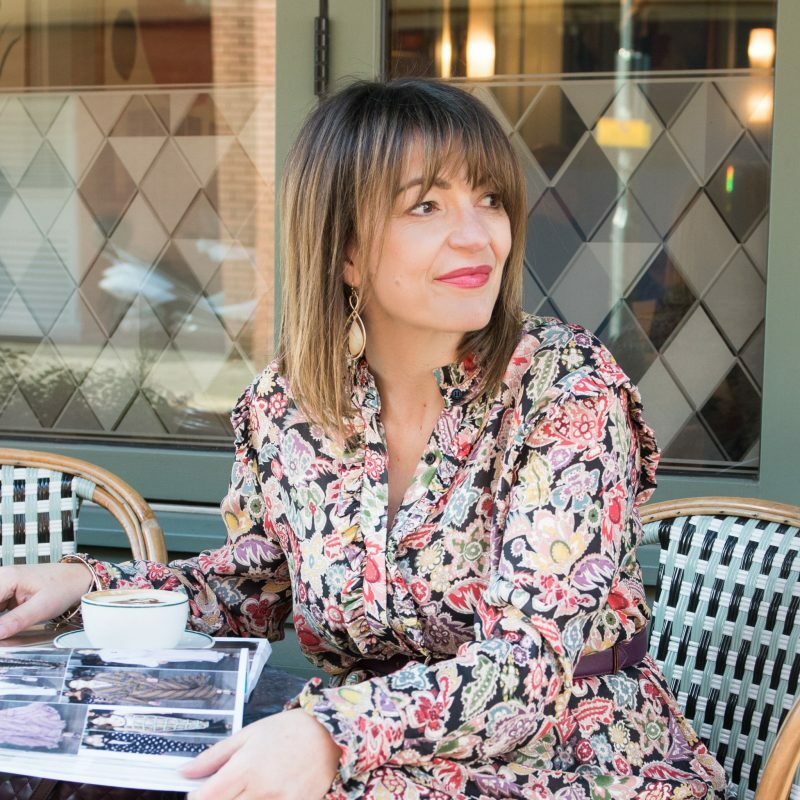 There are, undoubtedly some things that at 40, one is simply too old for but given all the angst turning 40 can bring it is vital that women don’t feel they can no longer wear fun stuff. So in short, although my style is indeed very different to many other 40 year old ladies, it’s mine and it makes me feel good so no, I’m not too old for it. Loving these different accessories? Then take a look at Sadie’s top three picks!